Hello everyone! Can you believe it is almost the end of July?! Summer is passing by way too fast. It seems unreal that I'll be starting a new program at a new school in a little over a month. I like to go through this skincare routine right after I get home from a day out and when I'm ready to settle down at home. Lately the only makeup that I've been using regularly is mascara, cream eyeshadow, undereye concealer, and my eyebrow pencil. There really is no need for me to go all out on work days so I keep it real simple. 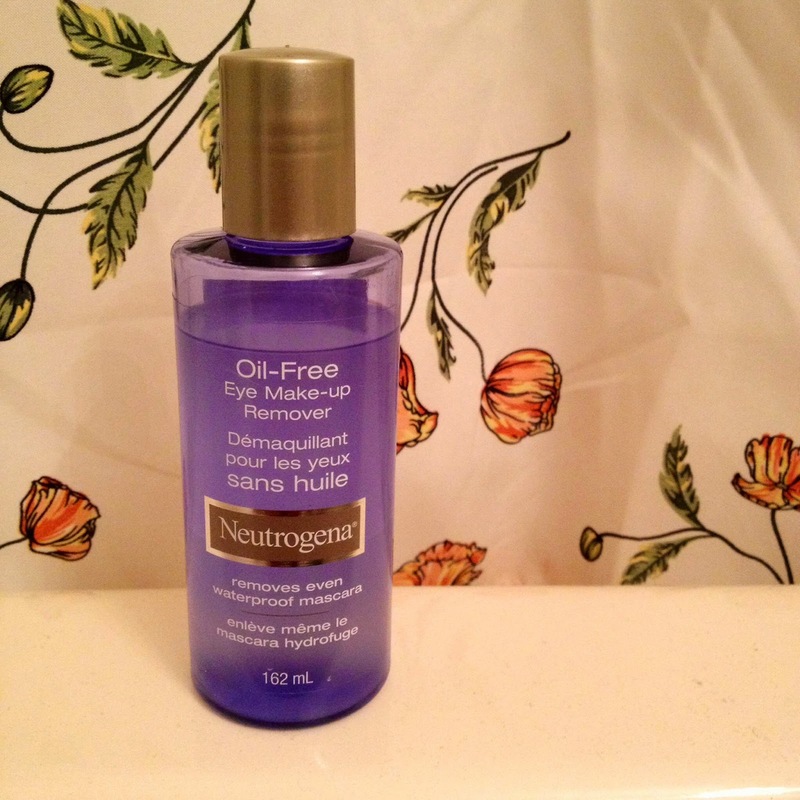 Since most of the makeup is generally around my eye area, I use the Neutrogena Oil-Free Eye Makeup Remover to get all of that off. I pour some onto a cotton pad, place it on my eye area, wait a couple seconds for the remover to start dissolving the makeup, and then gently wiping everything off. I use the other side of the cotton pad for my other eye. I've heard mixed reviews about this eye makeup remover but it hasn't caused me any problems. It doesn't sting my eyes, it does get all my eye makeup off after one use, and it's very affordable. I usually hop into the shower after my makeup has been removed and continue with my routine. I only do this step 1-2 times a week. 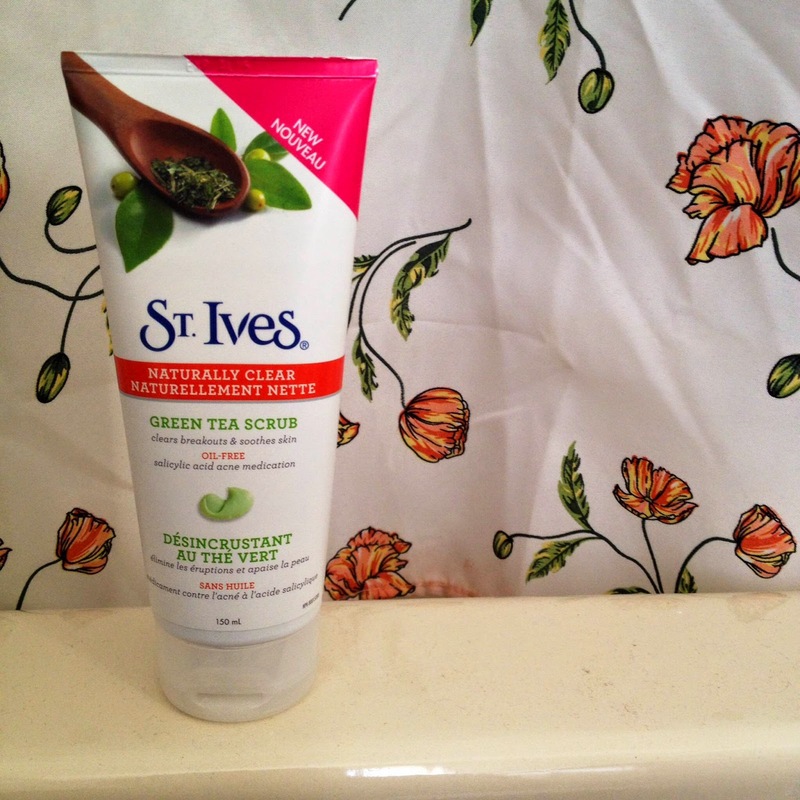 I exfoliate my skin using this St. Ives Green Tea Scrub. It has a slight but pleasant smell (doesn't really smell like green tea though) and it contains little microbeads within the scrub. When you massage it on your face, you can feel the abrasiveness of the beads, but it is not harsh at all. After I wash off the scrub, my skin feels so smooth and soft like a baby's bottom! 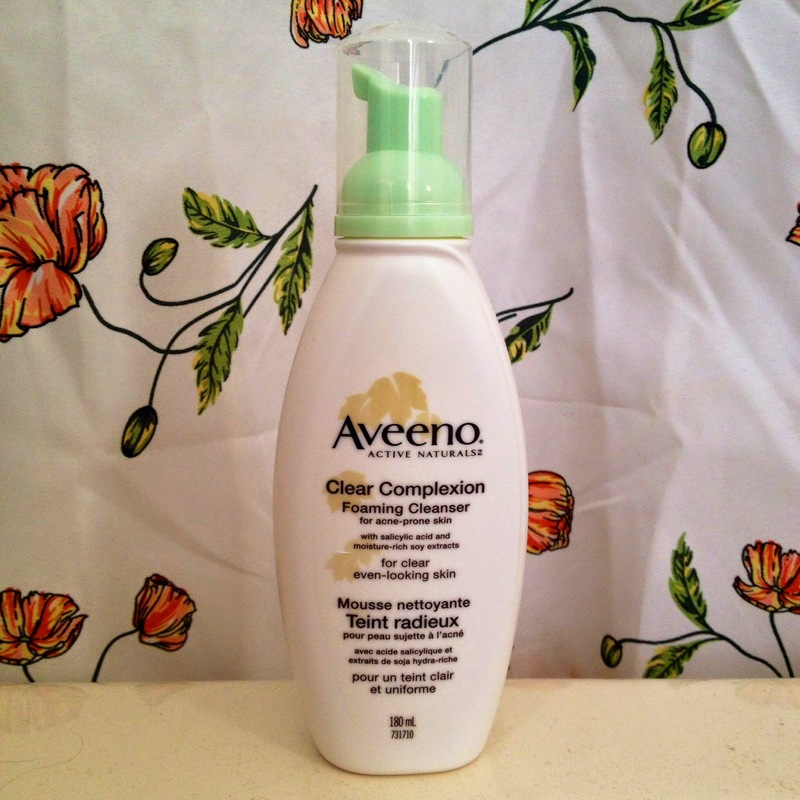 I cleanse my face in the shower with Aveeno Clear Complexion Foaming Cleanser, and it's one of my holy grail products. 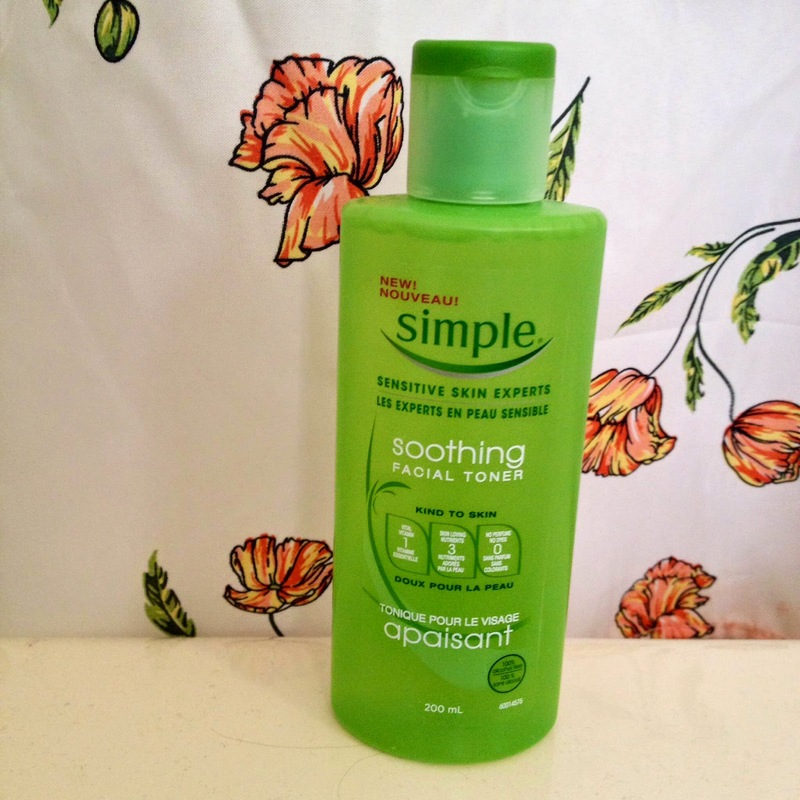 I spoke a bit about this cleanser back in my May favourites so you can read that here. I make sure to take my time gently rubbing the cleanser all over my face so that it can reach deep into the pores and get rid of the dirt and oil from the day. After I get out of the shower, I continue by toning my face with Simple Soothing Facial Toner. 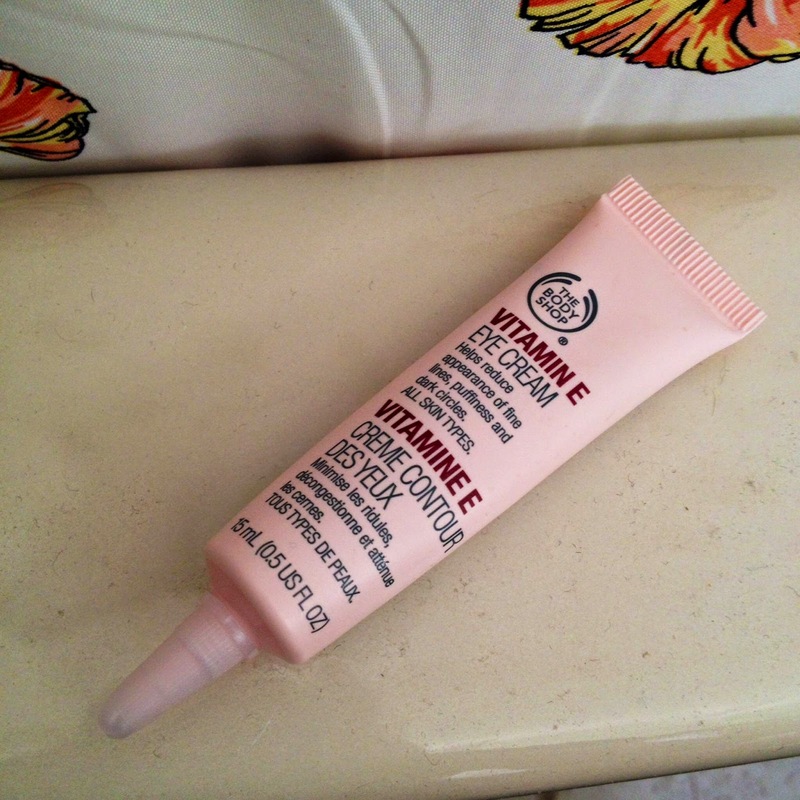 I've also spoken about this product in my June haul post which you can read here. 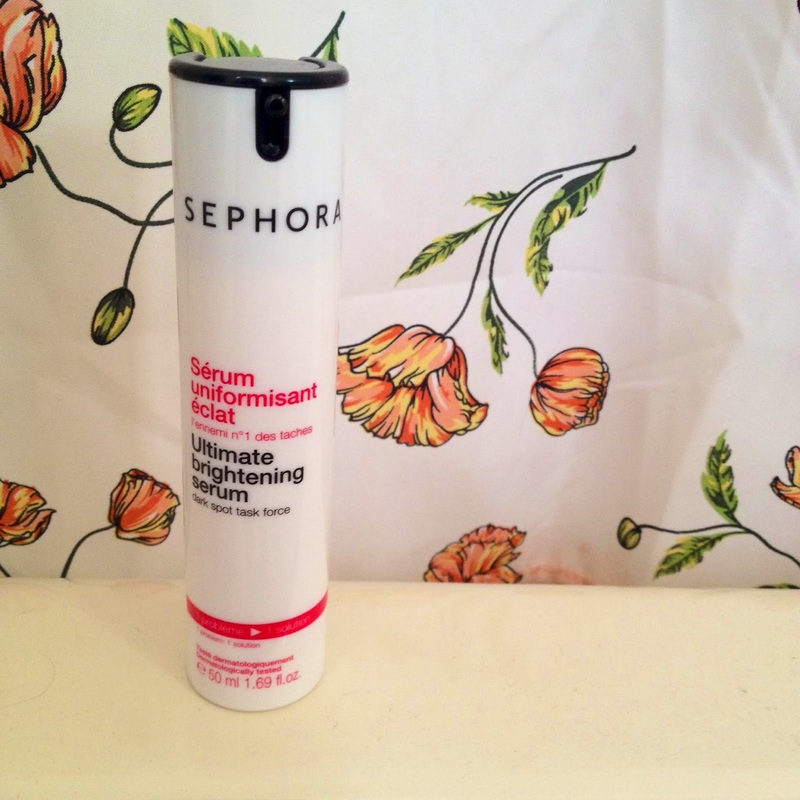 Overall, it has helped my skin tone become more even and dries quickly even without alcohol as some toners have. I pour some onto another cotton pad and wipe it all over my face. I bring it down my neck as well since our neck has skin as sensitive as our face and I want to keep it clean too. I've been using The Body Shop Vitamin E Eye Cream in the morning and at night to (attempt to) get rid of my dark undereye circles and puffy undereye bags (really, I have the worst of it haha). I squeeze a small dab of the cream and I gently apply it all over my undereye area using my ring finger as it gives the lightest touch out of all your fingers. I saw improvements in my undereye circles and bags when I first started using it but after a prolonged period of time I didn't see any more progress. I'm almost done the tube so I'll be switching to a different eye cream to give my undereyes something new to try. I incorporated the use of a serum into my evening skincare routine very recently and I'm glad I did! The Sephora Collection Ultimate Brightening Serum has definitely helped my skin fade the hyperpigmentation from acne scarring and also helps my face retain moisture through the night. I wake up with very soft and hydrated skin. I could tell because my skin doesn't look as dull as it used to be. You can read my full review on this product in my post here. 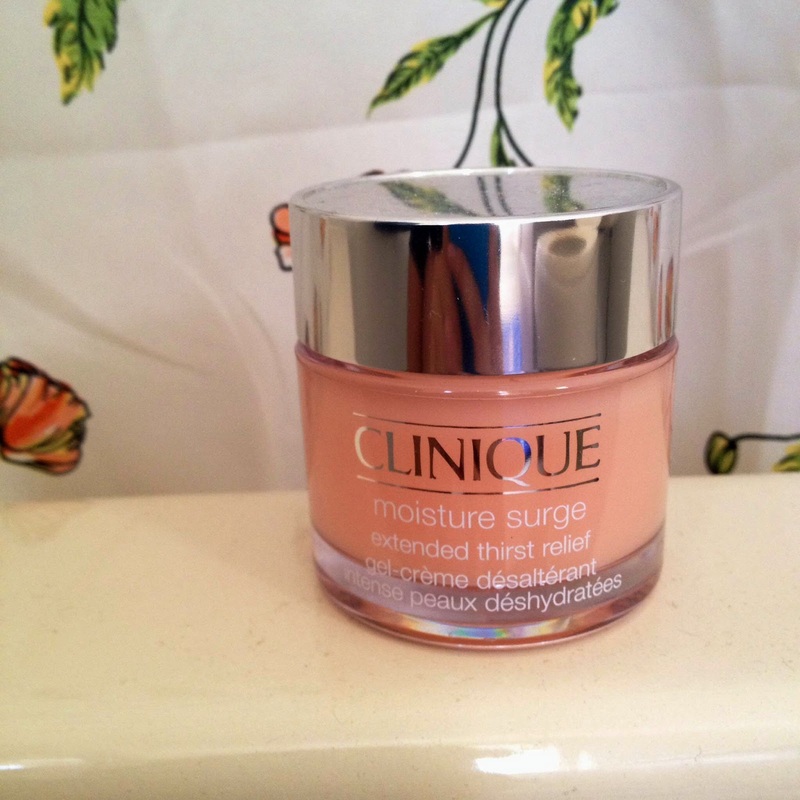 As my second last step I moisturize using my Clinique Moisture Surge Extended Thirst Relief. I really like the gel-like texture so when applied it feels super light and is absorbed into the skin very quickly. It feels as though nothing is there after the application. It is oil-free and I find that for this in particular a little can go a long way. I usually dot the moisturizer on my cheeks, forehead, chin, and temples... and that is enough to cover my entire face. It works very well with my serum to give me hydrated and refreshed skin the next day. Last but not least is this is holy grail product for my lips! Too bad this container is huge and I can't carry it around with me. 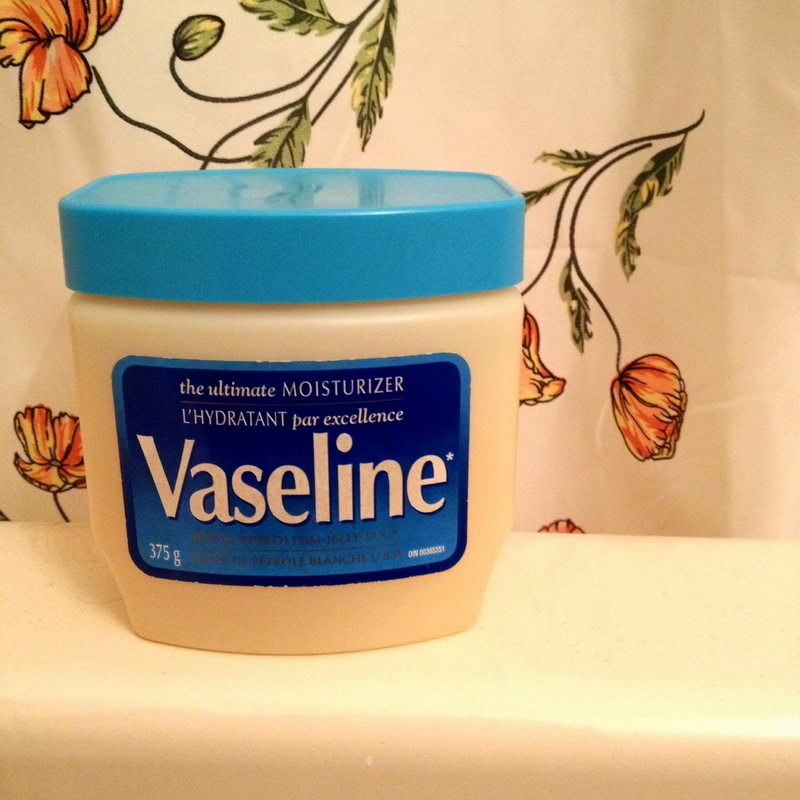 I always apply Vaseline to my lips as a balm everyday and whenever my lips feel dry. Something about Vaseline beats all other lip balms out there, in terms of effectiveness and cost too! Most other lip balms I've tried tend to eventually cause my lips to peel but this never ever does. I know the majority of the products mentioned in my evening skincare routine have links to other posts where I talk about the specific product in a bit more detail, but if you have immediate questions about them, feel free to ask in the comments below! What does your evening skincare routine consist of?